The Story: A plains-woman faces the harshness and isolation of the untamed land in the Western frontier of the late 1800s. I love seeing genre films that take place in unexpected times and places so seeing a dark and demonic horror movie set in the 1800's western frontier was a real treat. 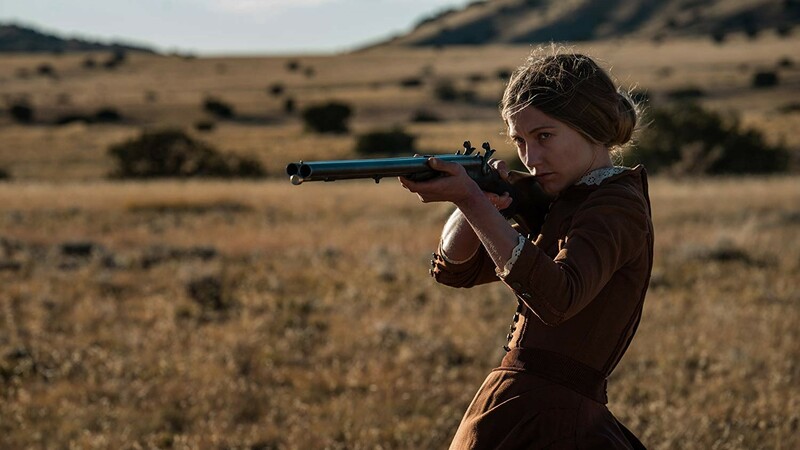 Director Emma Tammi uses the desolate and lonely landscape to great effect and the emptiness of the environment feels like it is constantly closing in on Lizzy, the movies main character, played by Caitlin Gerard. As her descent into darkness deepens, everything around her feels like it's all part of an elaborate trap where nothing can be trusted or believed. Caitlin Gerard gives an impressive performance as a troubled and lonely woman who becomes the target of some very unnatural things and occurrences. A lot of the standard story beats for this type of film are in place, but in this unfamiliar setting, which is super creepy at times, it all feels very fresh and gives the film makers a lot of new ground to play with. Putting the primary characters out in the middle of nowhere with current comforts and technology nowhere to be found really raises the stakes and elevates the danger for everyone involved. One of the movie's primary strengths is the brilliant use of sound which, with the proper speaker setup, will put you right into the middle of the creepiness and jumping out of your seat from the slightest gust of wind. Everything about the movie is built around making you feel uneasy and on edge, something normally very difficult to pull off and all of it works here to great effect. My only issue is that the slow burn build up is really slow and very methodical but the payoff is well worth the wait. 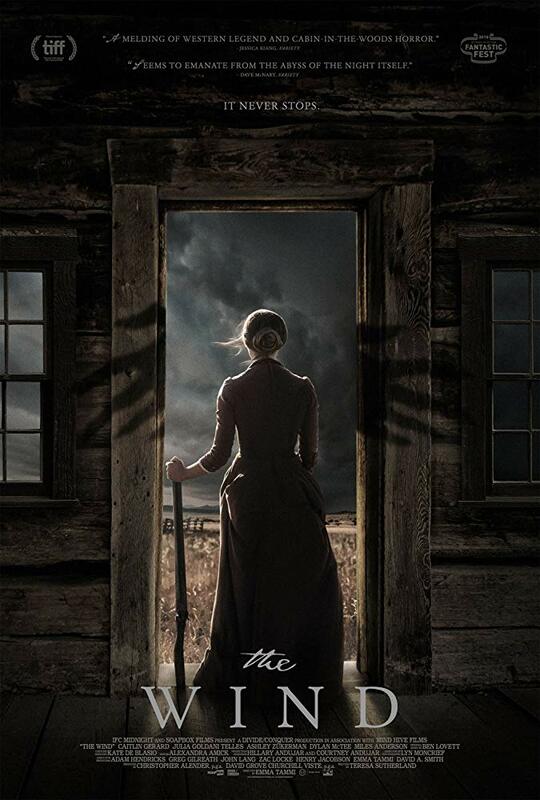 The Wind is a very welcome and unique entry into the horror genre especially as a female led production. Great production values and engaging performances make this movie one you do not want to miss out on and I would love to see more unique story telling ideas like this one brought to life.